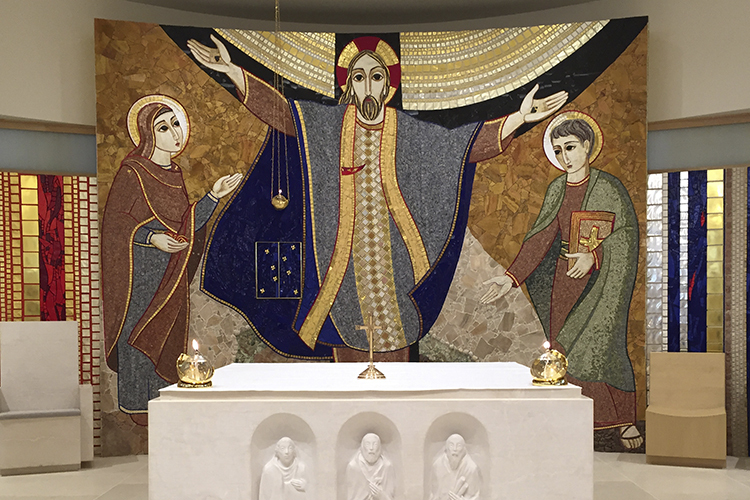 At Saint John Paul II National Shrine in Washington D.C., what formerly was an unremarkable meeting and exhibit space has been exquisitely transformed – visually and aurally – into the Redemptor Hominis Chapel. Because the room dimensions and ceiling height were dictated by the existing structure and couldn’t be expanded, Connecticut consulting firm Jaffe Holden applied specific absorptive treatments together with the active acoustics of Meyer Sound’s Constellation to re-balance and enhance the acoustical signature of the room. The result can range from subtle to dramatic, and it is remarkably effective. At the core of Constellation is a D-Mitri digital audio platform, the host DSP engine for the patented VRAS acoustical algorithms. Ambient room sensing is via 14 miniature condenser microphones, and the desired acoustical characteristics are reproduced by 18 MM-4XP self-powered loudspeakers, 13 Stella-8C installation loudspeakers, and 10 MM-XP subwoofer. 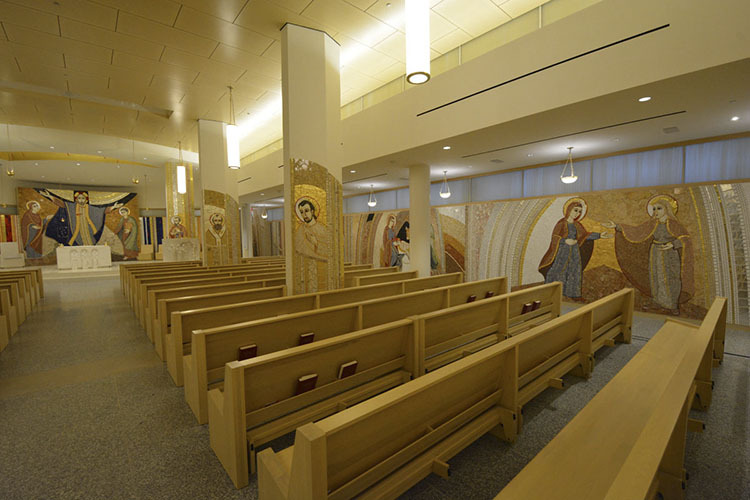 Direct reinforcement of speech and occasional music is supplied by a pair of Meyer Sound CAL 64 column array loudspeakers that create an acoustic that is ideal for traditional Catholic worship. 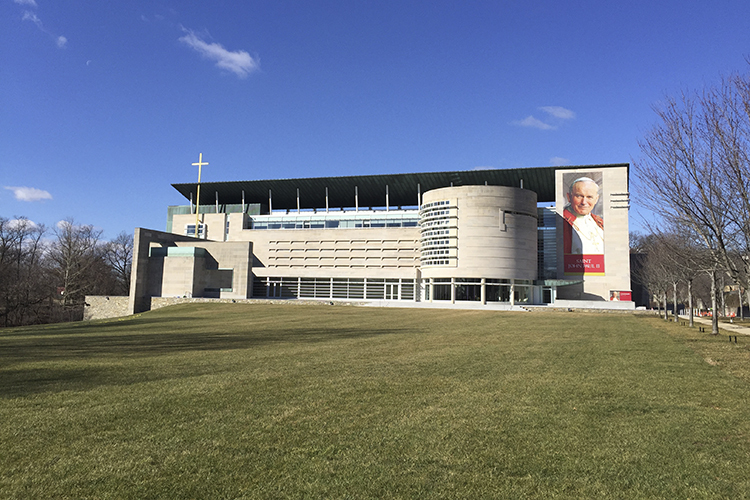 In this application, the beam angle and vertical spread of the CAL loudspeakers are calibrated to carry highly intelligible speech to the rear pews – a distance of about 90 feet – without overexciting what are effectively the “live” acoustics of a large church.